It seems like every other person you meet is an SEO specialist these days and believe us when we tell you, there are lots of charming cowboys out there. If you google SEO Ayrshire, you’ll see for yourself how easy it is for everyone to be shouting from the rooftops about their ‘expertise’. It is easy to shout, but actually delivering the results is another story. At best, bad SEO can cost you a lot of money. At worst, it can potentially destroy your online business if done badly. 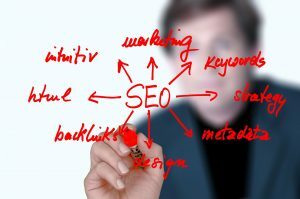 If SEO is carried out properly it can take a business entirely to another level. As we’ve said before, we don’t do jargon and when it comes to working on SEO in Ayrshire we really know our stuff. We aren’t going to bang on about getting you to the top of the Google search results for every keyword you want us to focus on, instead, we take a measured approach and ensure that the keywords we focus on are of value to your business. This means that your budget is spent wisely, and in turn, this means that you will see a better conversion rate and ultimately a better return on your investment. Leads and cost per lead are our main priority, not just random traffic. If you’d like to try SEO in Ayrshire for yourself, we can also offer training days for you and your staff. We’re not precious about our so-called “secrets”, we’re happy to share the inside knowledge of SEO with you, to help grow your business too. 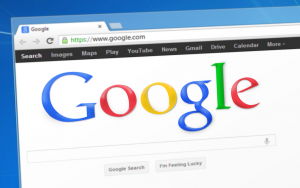 Contact us about SEO Ayrshire today on 0800 689 0370 for a free consultation. A quick call is all it takes, and if you’re happy we can get started on your SEO campaign to take you to the top!